The earliest evidence of brewing in America may be traced to 1587, when in Sir Walter Raleigh’s “Lost Colony” in Virginia beer was brewed from Indian corn. In New England shortage of beer caused the Pilgrims to land at Plymouth in 1620 Thus it might be said that in 1620 began the history of the brewing industry in America, for when the Pilgrim Fathers landed on Plymouth Rock they brought with them considerable knowledge of the best methods of making their favorite Beverages, “the fiery potions which even they loved to drink, and not a man afraid,” as well as the lighter, but still sturdy, brews with which every true Englishman sometimes made “merrie”. Homebrewed as this beer was in the beginning, the natural growth of the colonies soon suggested a more practical method, and it was thus that their knowledge of the brewing craft finally resulted in the establishment of the industry of beermaking. Numerous claims have been made as to the location and date of establishment of the first commercial brewery in this country. One maintains that the Dutch West India Company built its first brewery in lower Manhattan in 1623. Another claim is that of an early New England brewery which was operated by a Captain Sedgwick in the Massachusetts Bay Colony in 1637. A brewery was also established in 1638 as a community enterprise of Roger Williams’ colonists in what is now Portsmouth, Rhode Island. The Swedes, who arrived on the Delaware in 1638, in records of the colony allude to beer as one of its commodities and articles of commerce. There were many prominent men and American patriots among the early brewers of this country. Included among them may be listed the following: William Beekman, burgomaster of New Amsterdam for nine years, General Israel Putnam, famous for his part in the Revolutionary War, Samuel Adams, frequently called the “Father of the Revolution “, James Oglethorpe, founder of Georgia, and, most prominent of all, George Washington, who maintained a brewery at Mount Vernon and whose brews were celebrated for their fine flavor and high quality. Moreover, during the century following the Revolutionary War, a brewhouse was an essential part of the American household. As regards early encouragement given to brewing in the early days of the United States there is the motion made by James Madison before the House of Representatives in 1789. He moved that the low duty of eight cents a barrel to be placed on malt liquors in the hope that “this low rate will be such an encouragement as to induce the manufacture of beer in every State of the Union. Brewing was also fostered in these times by legislative action. The Massachusetts Act of 1789 states that “the wholesome qualities of malt liquors greatly recommend them to general use, as an important means of preserving the health of the citizens of this commonwealth, and of preventing the pernicious effect of spirtuous liquors.” Also in this same act we find the following: “to encourage the manufacture and consumption of strong beer,” the entire real and personal property of brewers was totally exempted from all taxation. William Penn introduced brewing into Pennsylvania. He built a brewery near his house at Pennsburg, near Bristol, Bucks County, in the year 1663. Many of his acts and ordinances indicate a decided preference for malt liquors. Under his care the infant industry prospered for a time and made Quaker beer quite famous. In a letter in 1685, he speaks of a brewhouse being erected by William Framton in Philadelphia on Front Street between Walnut and Spruce Streets. Soon another brewery was established by Anthony Morris, also on Front Street, in 1687. However, with the increasing population the number of breweries increased also, and along with these the taverns, which were encouraged under a law enacted in 1699, authorizing the governor to license taverns and suppress disorderly houses. Subsequently, other regulations aimed at the fixing of prices, and of the quality and quantity of drink to be served at taverns. From these regulations it appears that beer was considered a regular and indispensable part of every meal, and this fact explains why brewing flourished in the early part of the colony’s history. Philadelphia beer became famous all through the colonies, and soon began to be exported in great quantities because of its excellent quality. In rural Pennsylvania during these early days we find a number of commercial breweries rising to supply the demands of the growing population. A colony of Moravians erected a brewery at Christian’s Springs, Northampton County, Pennsylvania, in 1749, which was in operation until 1800. In the year 1761 a brewery was built by James Sterret in Lancaster, which was later taken over by a Thomas Peters of Philadelphia, and was operated by Peters and Johnson. The introduction of beer and beer making into Reading is closely associated with the town’s commercial and industrial growth. Reading early served as a center of trade, and so rapidly did its commercial needs develop that in 1764 the citizens petitioned the governor of the province for the privilege of conducting fairs and markets. Two years later a charter was granted giving the town the right of weekly markets and semiannual fairs, which at first served the original purposes, but later developed into boisterous carousals. It is not surprising to note that, in conjunction with these activities, drinking was an important pastime in the community. No less than thirty taverns served the town in 1762. Later the product of the Reading breweries came to rank among the first ten manufactures of importance in the city. In 1766 Eckert sold the above property to John Spohn, also a brewer, who continued to make beer in the building, living at the same time in the adjoining house, until 1776. Spohn is considered one of the early, prominent citizens of Reading, having served as a captain in the Revolutionary War. The year 1776 found Jacob Bright in possession of the establishment, which he operated until his death in 1815. From a reputable source we learn something of the nature of the beer and beer-drinking as it was under the proprietorship of Mr. Bright, for upon the 86th birthday anniversary of Jacob Bright Hoff, a grandson of the original Jacob, who was born in 1796 in the house attached to the brewery, the statement was made that Mr. Hoff’s grandfather made three kinds of beer-strong beer, which was sold at six cents a quart, middle beer at three cents, and small beer at one cent a quart. About half of the people of the town were small beer drinkers, and came with buckets, pots, and kettles every day to the brewery and carried away beer by the gallons, while others remained to drink on the premises. A description of the surroundings of the brewery, where this custom of outdoor drinking took place, is as follows: ” . . . a stone building before which was a large buttonwood, its wide spreading branches extended over the sidewalk, the old pump, a portion of the street and the house. In the yard were fine shade and fruit trees, under which were the tables for the patrons of the brewery products.” For a few years after Mr. Bright’s death the brewery continued to operate until 1827, in which year terminated the existence of the first brewery in Reading. Until after the Revolutionary War brewing appeared to have but little chance of a healthy development. Nevertheless, it continued to be practiced in settlements where the German element predominated, as we have seen to be the case here in Reading. The chief reason for this lack of progress in the brewing industry was the rise of rural distillation, which spread rapidly. Public writers and speakers directed public attention to the temperate drinking habits which prevailed in the German settlements, and so advocated brewing as a means of promoting temperance. Thus during the years after the War an impetus was given to brewing by this general movement in favor of malt liquors. It was during this period that many small breweries were erected in the rural towns of Pennsylvania. Philadelphia soon became the greatest brewing city in America, and Pennsylvania the greatest brewing state. This may seem all the more remarkable on account of the growth of the distilleries, but it should not in any way appear astonishing, if the character of the population of the city be borne in mind. By the first decade of the nineteenth century the use of beer had once again become very general, the per capita production of malt liquors in the seaboard states amounting to one and one-fourth gallons. This does not include what in the Digest is styled, “ancient fermented liquors,” made of honey, and called mead. 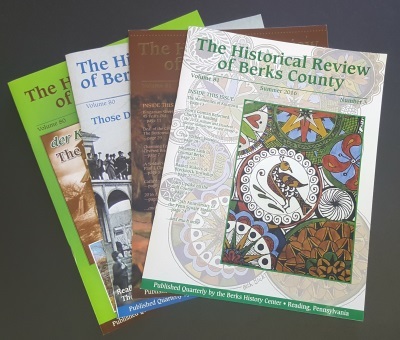 At the end of the first decade of the last century brewing re-commenced with renewed vigor in all the grain-producing states, particularly in Pennsylvania, on account of the great influx of immigrants from beer-drinking countries. During this time, and up to about 1840, the beers produced in this country were of the kind commonly known as ale. They were altogether of the top-fermentation type, mostly known as common beer, and required only a few days of fermentation. With the coming of 1840, and the continued German immigration, there was created a demand for the favorite beverage of these people, lager beer. As they were not satisfied with the native breweries of the Americans, it was not long before lager beer breweries began to spring into existence in every community in which the German population was sufficiently numerous to support such an enterprise. According to the testimony of Frederick Lauer, himself, the honor of having first brewed lager beer belongs to one John Wagner, who is said to have set up a lager beer brewery in a small building situated in the suburbs of Philadelphia, shortly after his arrival in America, in 1842. It was Wagner who taught this branch of the brewing industry to Lauer, the first brewer in this country to adopt his methods, and who in 1844 commenced to brew lager beer, which was then in great demand. A half century earlier than this, the Digest of Manufactures spoke of “a peculiar taste (among the people) for lively or foaming beer which our summers do not favor,” as one of the chief reasons for the inconsiderable progress of the manufacture of malt liquors. This lack in the old type beers was fully met by lager beer. Although making slow progress in the first decade of its introduction, lager beer increased in popularity and induced the brewers not only to remodel and improve their plants, but also to build new breweries of greater capacities. Thus in 1849 Mr. Lauer purchased a tract of land on North 3rd Street. He excavated extensive storage vaults, and commenced in 1854 to bore an artesian well upon the property. The boring continued until 1860, when it was suspended, after reaching a depth of 2,000 feet, and then had cost at least $2,200. It was here that Lauer’s Park was laid out. In 1866 Lauer built on the ground adjacent to this park another plant, which was known as the North Park Brewery. In the Reading Directory and City Register For 1856-57 there is noted, in advertisement form, the existence of two breweries-that of Frederick Lauer and that of Nicholas A. Felix. It was in 1845 that the latter brewery was established at Tenth and Chestnut Streets, and was known as “Spring Garden.” For a period of twenty-nine years until his death in 1874 Felix manufactured lager beer, porter, and ale, in large quantities, and during that time he added many and various improvements. A third brewery also existed at this time, that of Aaron D. Hoyer, who erected a brewery on Fourth, near Elm Street, which was operated by him and his brother Joseph for over twenty years. During the period of the Civil War the brewery industry became more and more important. The primitive methods in brewing of the earlier part of the nineteenth century were now being replaced by advanced ones. Cellars were underground, as were vaults which were located often at some distance from the brewhouse, and beer was hauled to them for storage, sometimes brewing water had to be carried in pails from a neighborhood brook, and malt was ground in a hand mill, all the beers were top-fermented, being either “common” or “small” beer.’ After the Civil War all this gradually was changed until in the 1870’s brewing became a great industry. Reading naturally felt the effects of this movement as can be witnessed in the Peter Barbey Brewery establishment. Peter Barbey, the originator of this brewery, was born November 9, 1825, in Dierback, Canton of Bergzabern, Rhinepfalz, Bavaria, the son of Christopher and Katrina Barbey. Until the age of 14 Peter attended the schools there, after which he entered the brewing establishment of his uncle, where he remained three years learning the business of a brewer. At the age of thirty-two (in the year 1857), Barbey emigrated to the United States, and proceeding at once to Philadelphia engaged for two and one-half years in the pursuit of his trade. In 1859 he settled at Reading, where he entered the employ of Frederick Lauer for one year, and soon after opened a saloon. Peter Barbey began his prosperous career as a brewer here in 1869, when he established a brewing plant at River and Hockly Streets. Montgomery wrote of the Barbey Brewery: “the buildings are a three-story brewery, a six-story brick malthouse, two refrigerators and two ice houses-they cover a tract of three acres. In the malt house are five germinating floors, one storage floor, and two large drying kilns. Two engines, producing 60 horse-power, and two large duplex boilers, of 75 horse-power, are used. Thirty hands are employed.” Barbey’s son, John, became a partner in 1880, the firm henceforth trading as P. Barbey and Son. During the year 1885 twenty thousand barrels of beer and porter were manufactured and sold, although the full capacity was thirty-five thousand barrels, and the full malting capacity seventy-five thousand bushels of barley malt. Thus by 1880 the foundation had been laid for one of Reading’s important industries. Developed as a normal, if not necessary, adjunct to the life of the German population, it brought to this community the industry and craft of the old country. As Reading grew, so did her brewing industry, and its importance was more than local. Frederick Lauer was one of the organizers, and president, of the United States Brewers’ Association, and he was also a leading citizen of Reading. As a public servant and philanthropist he was honored by his fellow citizens, and his statue now stands in our city park. There it symbolizes the social as well as the economic significance of the early industry. This article appeared in the January 1942 issue of the Historical Review of Berks County.